Because I only like to go grocery shopping once a month, I need to be organized to ensure my family are stocked up with items that are regularly used so we don't run out. You can imagine my annoyance when Mr 13 presented me a white tee shirt which had been hiding in the bottom of his wardrobe for quite some time with a big dirty stain on the front. I reached for my stain remover to find only a dribble left...nooooo! I decided to consult with my friend Mr Google for a homemade stain removal recipe and found a cracker of one! This was originally posted as an answer on the Thrifty Fun website. Honestly, this stuff works far better than any other stain remover I've used, even the high end brands. It even works on old stains. Best of all I already had the ingredients in my laundry cupboard. You can purchase spray bottles for around $1 at a hardware store or I just washed old my old one and poured my homemade liquid in there. This recipe will make about 400ml of stain remover. 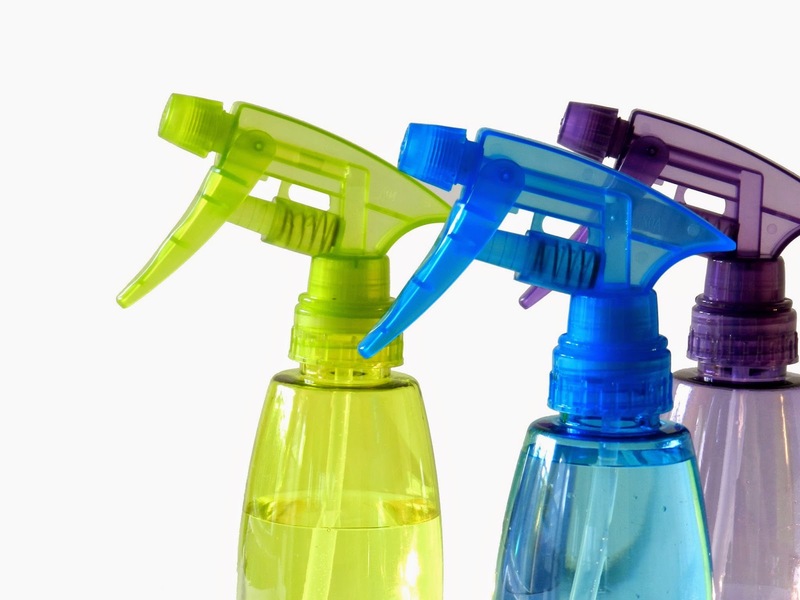 Mix all the above ingredients in a jug and pour into a spray bottle. I tend to give this a good shake to make sure the bi carb distributes evenly, before spraying it on. These ingredients are enough to make 12 refills of stain remover, for only 50 c a bottle!